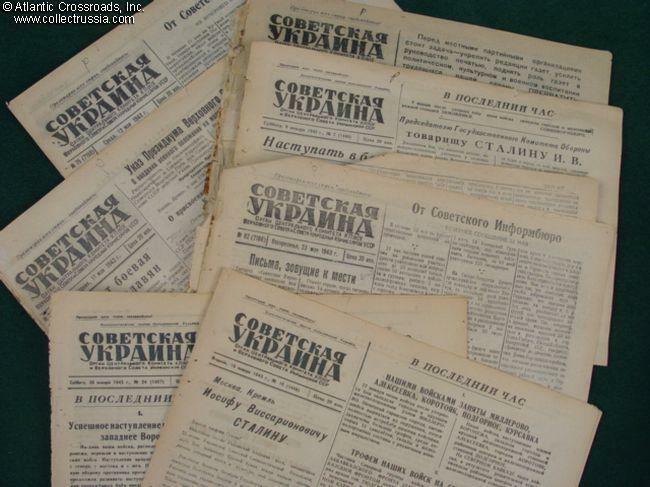 Sovetskaya Ukraina [Soviet Ukraine] Newspaper, January 1943 through July 1944. The period spans liberation of the Caucasus, battles for Kuban and Donbass Coal Region, attempts to break the blockade of Leningrad and the battle of Kursk. 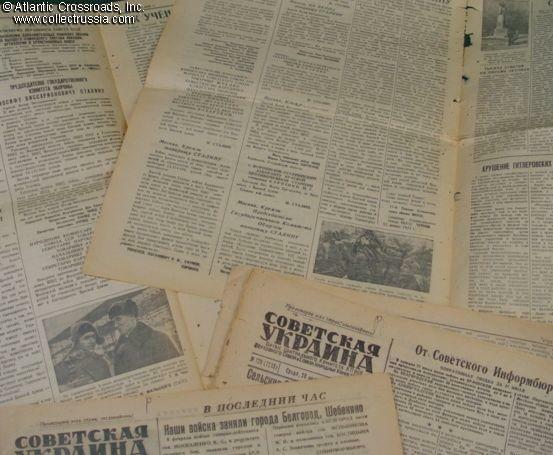 Each issue contains detailed reports from the fronts and has at least 2 photos. Sorry, no choice available - we will select from our inventory at random. All are in the same, fair to good condition, with moderate wear and tears to the edges, but no missing parts. Equally suitable for framing or a WW2 map case display. Will be shipped folded in two. Size 23" x 15 3/4".